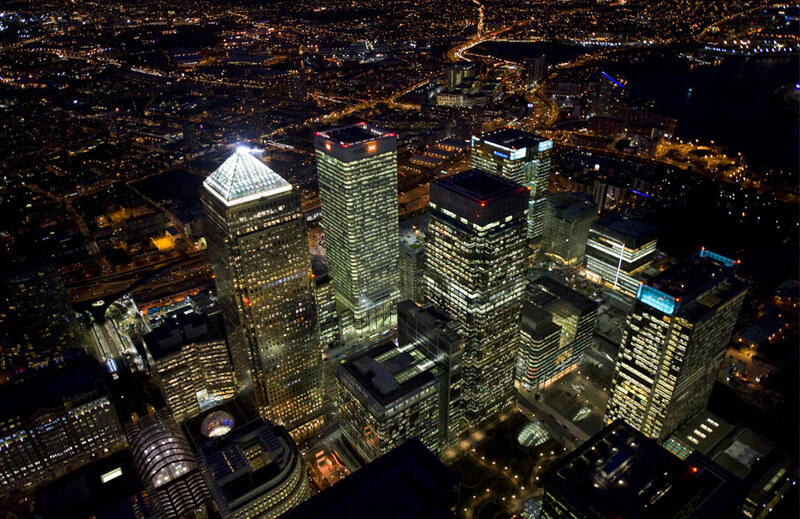 Esoteric/masonic symbolism is all over the place if you are able to recognise it and look in the right places. 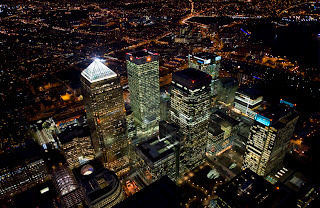 The above photos are of Canada Tower @ Canary Wharf @ the Isle Of Dogs in London. 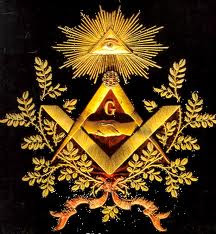 The other picture is the well known "illuminati" all seeing eye pyramid capstone. 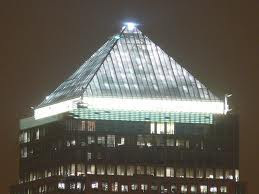 The architect of Canada Tower was hired to design a building within a very strict remit reulting in the finished design which speaks for itself.Of course the light at the top also serves as an aircraft warning light and it either pulses on and off or is lit up and when the light pulses it is an individual LED at the tip of the pyramid. The design of the tower uses the principle of Phi/the Golden Section in its design and dimensions which originated in Egypt during the era of pyramid construction.Its design is a central column ending in a pyramid design and if the sides of pyramid were extended downwards to the ground then obviously it would form a pyramid. This is the most blatant example i can think of right now before others that are just as blatant spring to mind and if you are versed in the subject of sybolism then it is easy to recognise and as i have an interest in archeticture and architectural detailing particularly historic buildings i notice it a lot more particularly in the architecture of buildings particularly those in the City of London for example that are loaded with symbolism and were all built during 17th - 19th century where symbolism was featured in the detailing both internally and externally much more than any other period of architecture. I could write pages and pages and pages on this subject but i am not finding writing particularly easy at the time of typing this and its not flowing like it usually does which is fortunate as i wont have to bore anyone shitless with details and text and images that hardly anyone is interested in. I first got into the subject back in the early 90s when i read Hawksmoor by Peter Ackroyd and used to go on walks around London at night just taking in the atmosphere and the architecture which lead to an interest in Geomancy which led to an interest in Psychogeography partly thanks to the London Psychogeographical society who i discovered through a copy of Festival Eye magazine.During that time i had a strong interest in Ley Lines as well as all 3 subjects are connected with each other. Being aware of this type of thing opened up a whole new world.I also have an interest in the Occult which is purely academic. 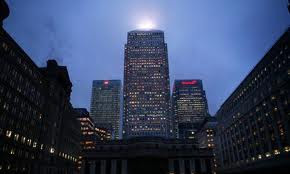 I would visit different places like Canada Tower/One Canada Square,The Tower Of London,The Monument,The Masonic Hall in Gt Queen St,The Bank Of England,Cleopatras Needle to see what kind of psychic impression i got from the location. 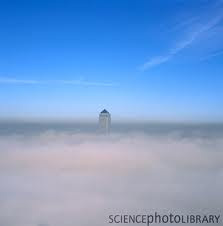 For example when i visited Canada Tower i could feel this very strong energy that was being channeled up from below the ground the building stands where it was channeled up through the centre of the building up to the tip of the pyramid and it felt like negative energy and at the same time i started to get an unpleasent pounding headache and felt slightly sick which didnt wear off until sometime later after leaving the area. When i visited the Monument i got this very strong impression of history and of the events that took place there that was mostly concentrated on the Fire Of London as that was what i was tuning into mostly and i could feel the sort of psychic residue of it under my feet and all around in the air.It was a strange sensation that is very difficult to articulate.I am trying to describe a sense that is very difficult to describe. Once when i visited Cleopatras Needle i had a very odd experience.I was with a friend who has the same interest and we visited it at about 11.30pm and we seperated for a short while.The Thames was at low tide and there is a set of granite steps going down to the water that are only exposed at low tide for the purpose of getting on and off boats.As the steps are constantly submerged underwater they were covered in a thick gooey greeny brown slime.For some reason i felt like i had to walk down the steps to the water and as i started to go down the steps i slipped on the slime that was covering them and i tried to keep my balance and not fall into the water and i slipped down each step on one foot like i was hopping down them staying upright the whole time and when i got down to the final step right by the water somehow i managed to stop.Then i had to go back up them to get back onto the embankment which was dodgy to say the least. The odd thing is i cant explain why i went down the steps in the first place or why i was drawn to the water as it was like an involuntary action and it was like i was under the influence of something external as i didnt think about doing it as i just did it.Under normal circumstances its not something i would have chosen to do and the Thames isnt somewhere i would want to swim or go near if there was a risk of falling in.I know someone who claims he used to swim from one side to the other but either that is BS or he is braver than i am.There are very strong currents in the Thames even at low tide so its not a good idea swimming in it. Tube stations and the Underground in general can be quite a creepy place late at night particularly the stations that havent been subjected to a makeover and they still have that 1930s/1950s tiling amd fittings and lighting that to me always had this utilitarian kind of Orwellian/1984 1940s look to it.I immediately date myself by being able to remember going on the old fashioned red tube trains along with the escalators that had wooden slatted treads that trundled their way up and down in rhythmic clunking kind of way. To get back to the point i was in a tube station that i forget the name of when i went and explored this side tunnel that noone else was using as i was curious where it went as it was indicating where it went to as in no signs.Anyway after walking a third of the way through it i heard running footsteps that were moving in my direction which were amplified as you get an echo in the tunnels if they are empty.Then i heard whoever it was running behind shouting "YOU CANT GO DOWN THERE !!!" and then something else that i cant recall.I kept walking and didnt look round and i thought "OH FFS!!" and i was slightly irritated that my exploring was going to come to an end by someone who works down there so the footsteps got closer so i looked round to see who it was and there was noone there at all yet i felt that there was. This was a bit creepy so i went back up the tunnel to where i started from and i was somewhat relieved to back to normality.The curious thing was that i was all alone athe point of hearing the footsteps and the voice and i had the strong impression that i was in the tunnel and the tube station during WW2.I cant rationalise that at all as it makes no sense but that was the impression that i got when i was down there. Whos making all the cash money ?